Bespoke rug studio - loophouse specialise in fulfilling your custom made rug, carpet and wall hanging opportunities. With almost three decades of knowledge we can offer you our expertise in fulfilling your handmade rug commissions and assist you in your project. 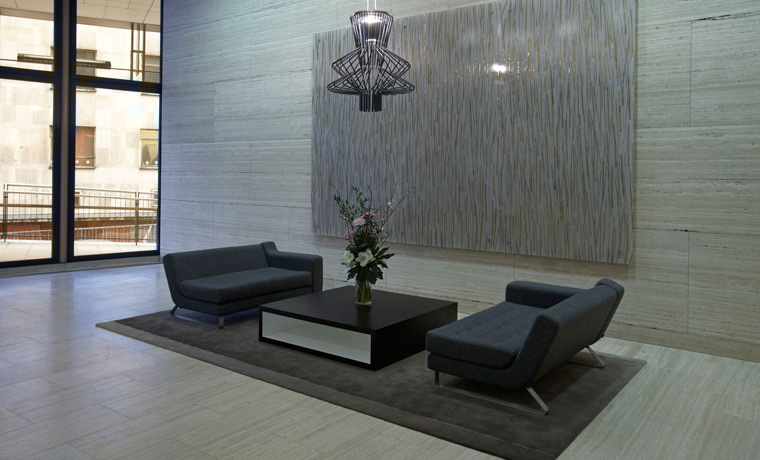 First impressions are important whether you are designing a public reception area, a private residence, or a hotel suite. Loophouse understands the positive impact and benefits of good design. Our clients range from well know interior designers & architects, respected luxury goods retailers, and private individuals who require bespoke made rugs, carpets and wall art. Our service, gained through years of experience, encompasses every stage, from conception, through production to installation. Loophouse provides a unique combination of design expertise, high-end materials and reliable production to deliver your very own custom rug.